From his safe house in the Ecuadorian embassy in London, Mr Assange told The Age MasterCard Australia was inclined to ban any contributions to his organisation after Ms Gillard’s comments. JULIAN Assange is trying to sue Prime Minister Julia Gillard for defamation over claims his organisation WikiLeaks acted illegally when it released hundreds of thousands of secret diplomatic cables. From his safe house in the Ecuadorian embassy in London, Mr Assange told The Age MasterCard Australia was inclined to ban any contributions to his organisation after Ms Gillard's comments. 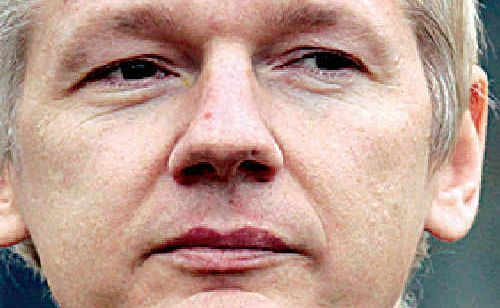 Since late 2010, Wikileaks has released 250,000 classified US diplomatic cables, frustrating both the White House and the Labor Government. Mr Assange reportedly told activist group GetUp! he had hired Sydney lawyers to investigate how best to sue the Federal Government.